Expiry Date is March 2019. Barilla’s Ricotta sauce blends creamy ricotta cheese with ripe Italian tomatoes, for a delicate flavor. 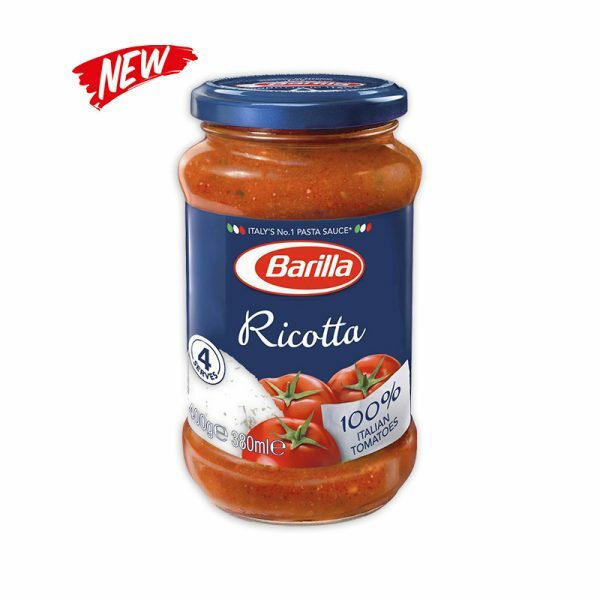 Prepared following an Italian recipe, without added preservatives, these tasty ingredients are cooked slowly to create a rich and delicious sauce that hugs your favorite Barilla pasta perfectly.